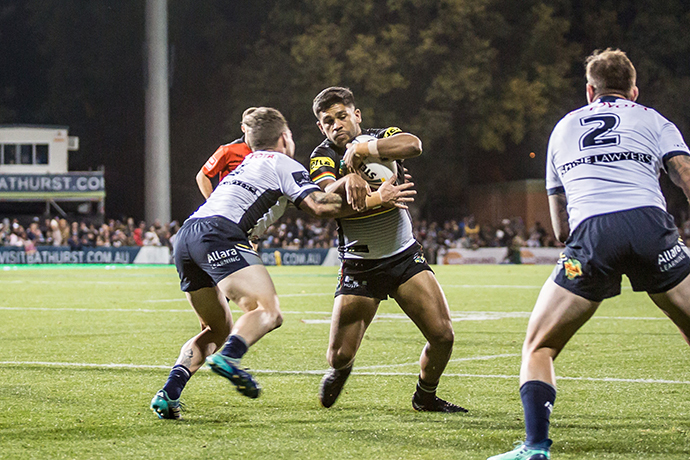 Fresh from their lucky escape against Canberra in the nation’s capital last Friday night, the Panthers head to Allianz Stadium on Friday to take on a Sydney Roosters side that themselves were fortunate to get the two competition points on the road last weekend after a thrilling win over Newcastle. For Penrith last week it was a case of taking the two competition points and forgetting about the game. It was far from the side’s best performance, but any victory during the Origin-disrupted period is a bonus. Unfortunately Anthony Griffin’s side didn’t escape chilly Canberra unscathed with exciting forward Viliame Kikau suffering a knee injury that will keep him out for several weeks. It’s a shame as Kikau was having a solid year and would have relished the opportunity to take on the highly regarded Roosters. Jack Hetherington returns from suspension to replace him. This clash promises to be a beauty, and it’s an opportunity for one of these sides to make a real statement. The Panthers have confirmed they’re the real deal in 2018 but victory against a side that contains the likes of Cooper Cronk, Boyd Cordner and Latrell Mitchell would certainly silence any remaining doubters. The Roosters meanwhile were one of the premiership favourites before a ball was kicked this year but they’ve struggled to really stamp their authority on the competition. They almost gave victory away to the Knights last Saturday, and only beat the Tigers by a whisker at Allianz Stadium the week before. In both games, a single bounce of the ball could have seen the win go the other way. I’m expecting a very open game of football. Both sides have excellent line engagement, and both top of the table as far as kick return metres is concerned. I’m tipping plenty of try scoring opportunities to be created and a lot of second phase play throughout the contest. Where this game could break down is errors and penalties. Nobody concedes more penalties than the Panthers, while the Roosters top the league in both errors and handling errors. 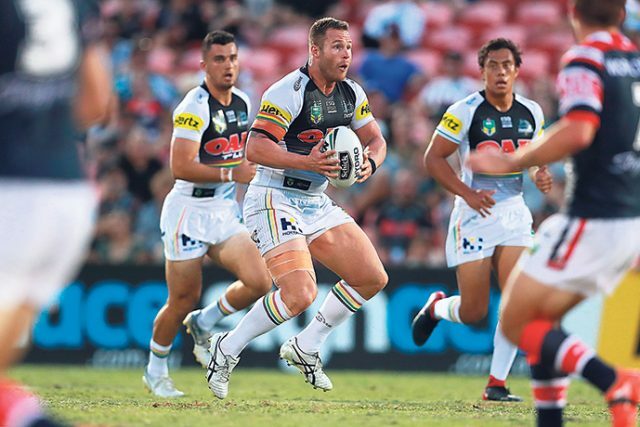 Penrith are nowhere near the Roosters in that regard and in fact are completing an average of 79 per cent of their sets – the fourth best in the competition. This is a real danger game for the Panthers. While they’ve been solid in defence for much of the year there’s no doubt they can be caught out with a little bit of flair from the opposition. The Roosters have plenty of players who can provide such flair; the likes of James Tedesco, Latrell Mitchell, Blake Ferguson and Victor Radley are real game breakers who the Panthers will have to be on high alert for. Griffin has rightly given his Origin stars a light week at training and they’ll be primed to take on a side many still regard as one of the competition’s benchmarks. Dry conditions are tipped for Friday’s game, which should allow for a free-flowing game of footy. I can’t see this one being a blowout either way but with the amount of confidence they’re playing with at the moment, it’s hard to go past Penrith getting home again, even though you would think this winning run has to come to an end eventually.